On the nights I was in Windhoek during my time travelling around Namibia in 2013, I stayed at Rivendell Guesthouse for a total of five nights. This was a very homely and comfortable place to stay. I found the staff to be very kind and helpful, especially when things booked by other suppliers didn't go to plan. Although they only provide breakfast, the staff will help you order a meal from the take-away service or a restaurant in town and I found the laundry service to be very good. 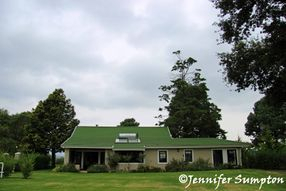 During my Sunway Safaris "Rainbow Route" trip in 2013, we stayed at the KarMichael Farm and Guesthouse. 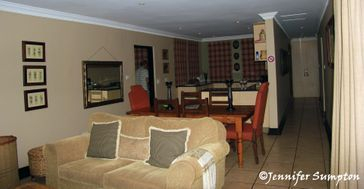 Normally the tour stays at a different location, however as it was the Easter weekend when we were in the Drakensberg Mountains, that accommodation had been fully booked twelve months in advance. We were not disappointed with the alternative option. Along with an Australian couple, I stayed in "Gregg's Cottage" which consists of three bedrooms (one with full ensuite), a second bathroom, fully equipped kitchen and scullery, lounge/dinning room and an outside patio. Our meals were taken as a group in "The Shed" which was lovely and warm and cosy, especially as it can get quite cold at night and the heavens opened both nights during our stay. Not actually in Livingstone but about an hours drive from the town back towards the Botswana border, however you can arrange to be collected from your accommodation in Livingstone if you don't have your own vehicle. 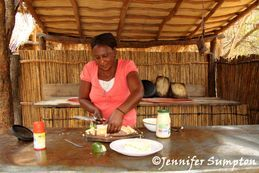 I stayed here for five days after spending two weeks travelling through Northern Botswana in 2010. Bovu Island is the ideal place to chill out, especially if you have spent weeks travelling overland - do as much or as little as you want. 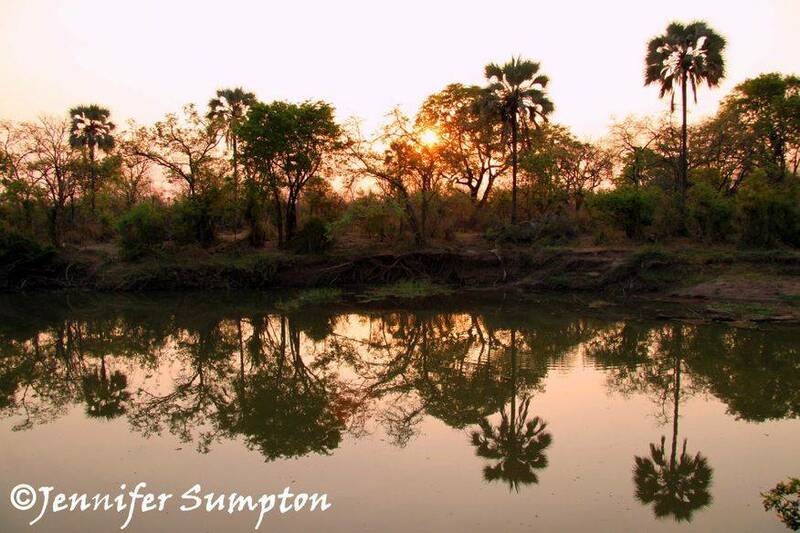 Go fishing, bird watching, take a mokoro onto the Zambezi River with your own guide to watch beautiful sunrises and sunsets, meet and eat with the local people, help out at the community school project or just laze around, read a book and enjoy a drink (or two) from the bar (honesty system applies). I loved staying here and Brett is a fantastic host. For those wishing to stay at a budget accommodation whilst in Livingstone, then Jollyboys is the place. I stayed here for a few nights and, compared to the one I stayed at in Lusaka (Lusaka Backpackers which I would definitely not recommend), Jollyboys is excellent. There is the choice of camping, dormitory or private rooms, free pick up from Livingstone Airport, travel desk to book all your activities in and around Livingstone and further afield, free daily shuttle to Victoria Falls, swimming pool, WiFi and internet facilities and a restaurant. Being in town it is a two minute walk to the Museum, and a short walk to the post office, banks, supermarkets and tourist market. 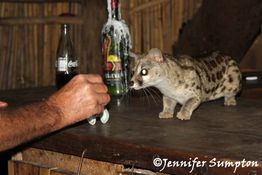 This is my favourite place to stay whilst in the Livingstone area. 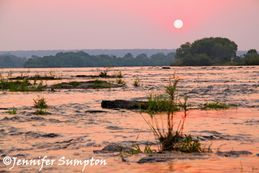 In a quiet and beautiful setting on the banks of the Maramba River in the Mosi-oa-Tunya National Park and only 4kms from Victoria Falls, even elephants and hippos like to come to visit occasionally. There are three types of accommodation: Chalets, Luxury Tent or Safari Tent, all with ensuite facilities. There is a lovely lounge area right next to the bar and swimming pool so have a swim, relax in comfort with a book or grab a cool drink and watch the sunset. If you haven't booked any activities before arriving, these can be done at the Activities Centre.